ROCHESTER, Minn. — Healthy white blood cells, called “T-cells,” play a crucial role in how the body fights follicular lymphoma. That's according to the results of a study led by Mayo Clinic hematologists Zhi Zhang Yang, M.D., and Stephen Ansell, M.D., Ph.D., that was published in Cell Reports. T-cells are a key part of the immune system and protect the body by fighting infections and cancer. “Follicular lymphoma is a type of blood cancer that mainly involves the lymph nodes in the body,” says Dr. Yang. He says that, while the disease is quite common and has a relatively better prognosis than other cancers, it is not curable. Although many patients respond to treatment, it is common for the cancer to return after treatment. 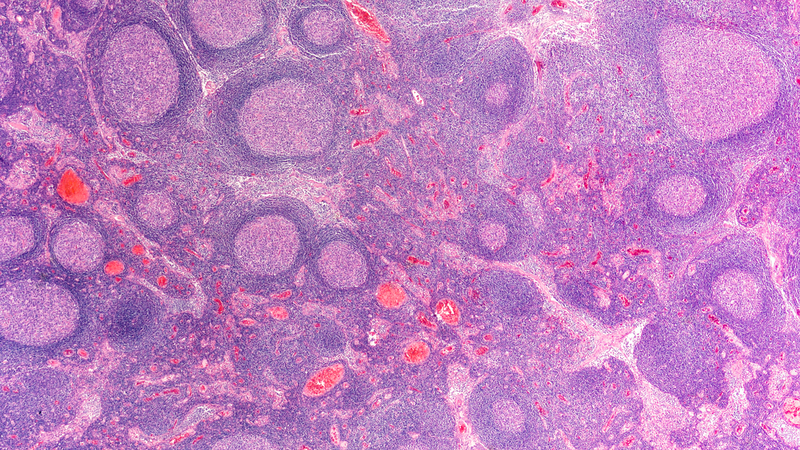 Dr. Yang and his colleagues were interested in understanding why some patients with follicular lymphoma fare better than others with the disease. Their study found that patients who had a poor immune response to the disease exhibited a reduction in costimulatory receptors on their T-cells.